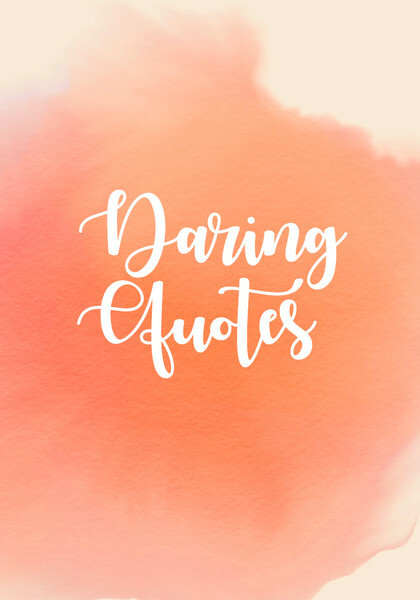 It's officially Daring Women month at Livingly, though we celebrate daring women — their achievements, their goals, and their inspirational words — all year long. From risk-taking dressers to dauntless entrepreneurs, historical heroines to modern day activists, we're shining a spotlight on the women who inspire us to be more courageous in our own lives. Including, of course, our own mothers. Alongside advice on how to travel fearlessly and live more confidently, we hope to embolden the daring woman in us all. Let's begin with these beautiful, enduring quotes from poets and presidents alike.